Our 'Getting Them To Stay' Campaign is focused on helping you reduce turnover of your new hires. 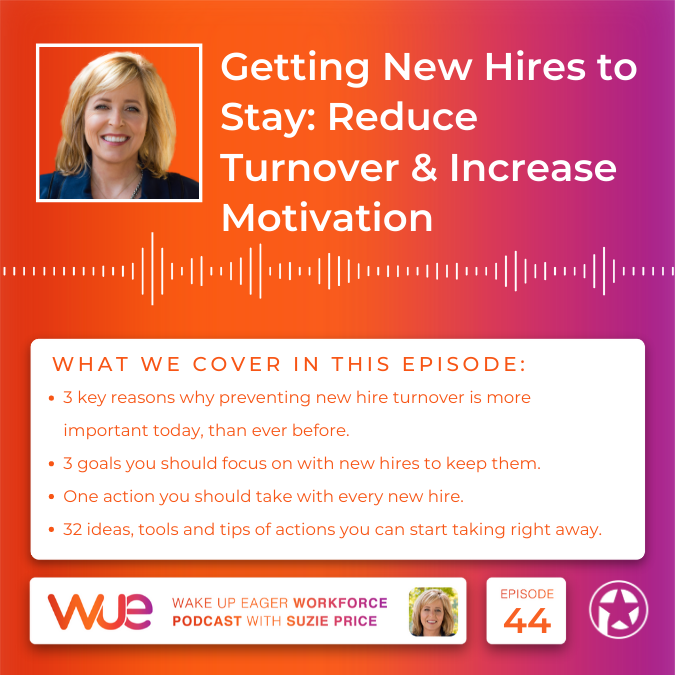 There are alarming statistics around the amount of turnover with new hires, information we share here and in this Wake Up Workforce newsletter: Getting Them To Stay. A Customized Coaching Report for Every New Hire: This streamlined TriMetrixHD Report makes it easy for any manager to review and discuss a New Hire's strengths and development opportunities. Managers can quickly understand how to best motivate, manage and communicate with each new employee. Managers who take time to demonstrate that they care, who lead by strengths and provide growth and development opportunities for their employees, have less turnover and higher commitment, according to employee engagement research. 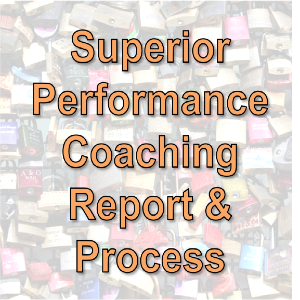 The beauty of this streamlined Coaching Report is that limited, to no assessment training is needed to use it, so an outside facilitator is not required. Also, if you're currently using TriMetrixHD for Candidates, this Coaching Report can be created from that report, quickly and easily. Literally, there's no additional work to be done to get this report. We provide each manager with a Coaching Report Sample Agenda guiding them to hold three check-in meetings with their New Hire. In addition to the Coaching Report meetings in the sample agenda, we also recommend these Great Manager On Boarding Actions and Best Practices. - We will create a New Hire Development Resource page with a customized debrief video explaining their assessment results and how to use assessment-related, self-paced online development tools. These development tools include: Self-paced coaching PDF's for each area measured in the assessment, books, audio podcasts, memory jogger/flash cards for different communication styles and motivators and more. - We can also include a Video Welcome from one or several key leaders in your Company. - If requested, we can hold one or several overview webinars for your Managers (that we can record) to walk through the process and answer questions on how to effectively use this tool with their New Hires. - We can also provide an additional report, a side-by-side view (between the Manager and their New Hire), to give the New Hire insight on how to best communicate with their new manager. - We will handle and automate the process for you working closely with your Human Resources team to make this process easy and seamless. - Assessments can be purchased one at a time, or for greater savings, in bulk. 67% of new hires are thinking about leaving on their first day. 25% will leave in the first 45 days. If they don’t leave in the first 45 days, they tend to leave before their first anniversary. 86% decide to stay or leave within their first 6 months. A solid on boarding experience is tied to 50% greater new hire retention. The cost of turnover is typically 1.5 to 8 times the salary of the position, depending on the level of the position. 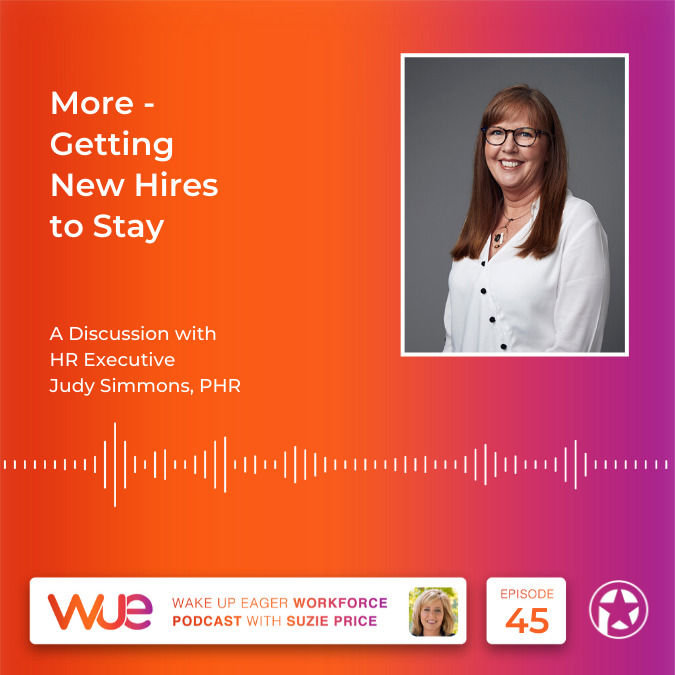 With unemployment low, turnover on the rise and the fact that many organizations know that they could do a better job welcoming in their new hires, NOW is the time to reassess your New Hire On Boarding processes. Our Superior Performance New Hire Report and Process will show that you care about who your new hire is as a person. Our Coaching Report is a 'handbook' on what each Manager needs to do to make sure that their New Hires want to stay, are productive and will bring their best to their work and your company.